The name PUBG has become so popular among mobile gamers recently, thanks to its addictive gameplay. It even got the best game nominee in The Game Awards 2018. The company is adding new features, new maps and new additions with every update. 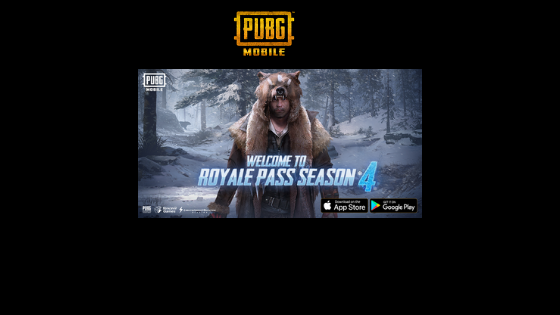 Today, PUBG mobile has got a new update carrying the version number 0.9.5 which introduces the much awaited PUBG Royal Pass Season 4. The most important update will be Royale Pass Season 4. 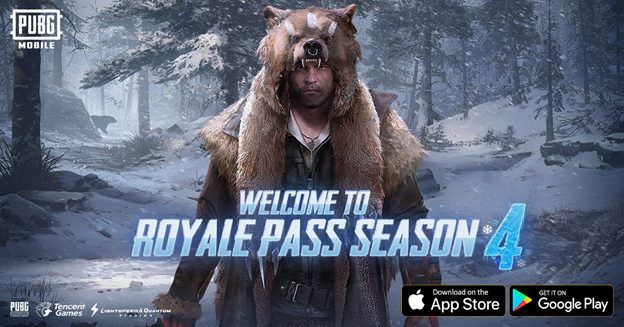 With Royale Pass, players complete daily and weekly missions to earn points and increase their rank. Upon completing a certain number of missions every week will win them additional crates and currency. Add more firearm finishes, rare outfits, new character faces, and hairstyles. What’s New in Version 0.9.5? PUBG MOBILE is developed by Tencent Games and PUBG Corp and based on PlayerUnknown’s Battlegrounds, the original PC and Xbox One gaming phenomenon that took the world of interactive entertainment by storm in 2017. Up to 100 players parachute onto a remote island to do battle in a winner-takes-all showdown. Players must locate and scavenge their own weapons, vehicles and supplies, and defeat every player in a visually and tactically rich battleground that forces players into a shrinking play zone. Tencent Holdings Limited (SEHK 700) is a leading provider of Internet value added services, also the key shareholder of Riot, Supercell and Miniclip. Tencent Games, part of Tencent Holdings Limited, is a leading world-class online game developer and operator. Tencent Games is dedicated to creating a reliable, fun, and professional interactive entertainment experience for users through the creation of quality multi-segment online game products.